Everything you need to know about the Tavern. 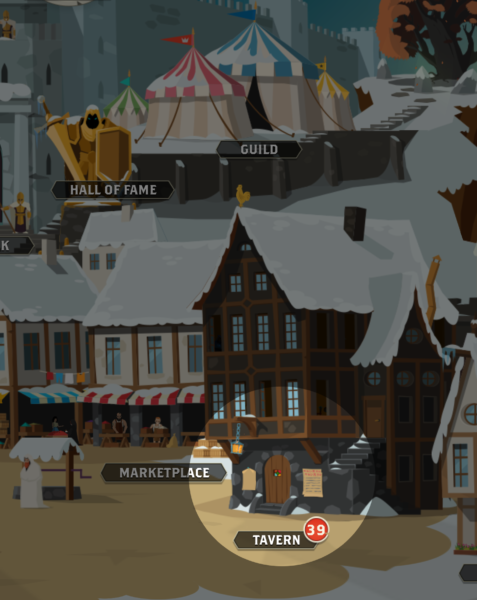 To get to the Tavern, simply go Home > City > Tavern. It’s the building in-between the Marketplace and the Barbershop. It is unlocked at Level 5. Watch an ad for +75 gems (this can be done twice a day. The “day” resets at 3AM UTC). 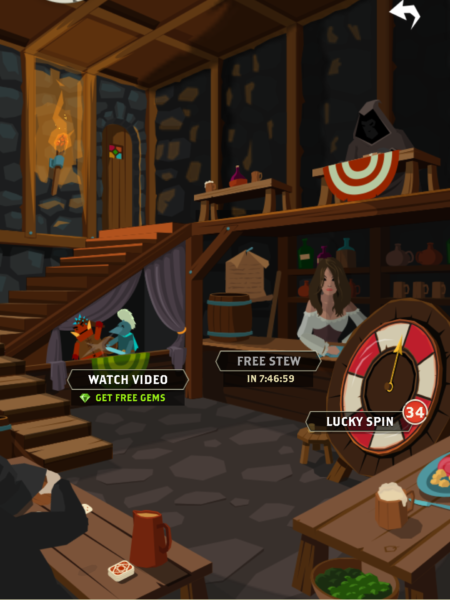 Claim a Free Stew (this can be claimed twice a day). Spin the Lucky Spin wheel. The 34 next to the Lucky Spin means that the player has 34 Spin Tokens available to use! The first two daily spins are always free. 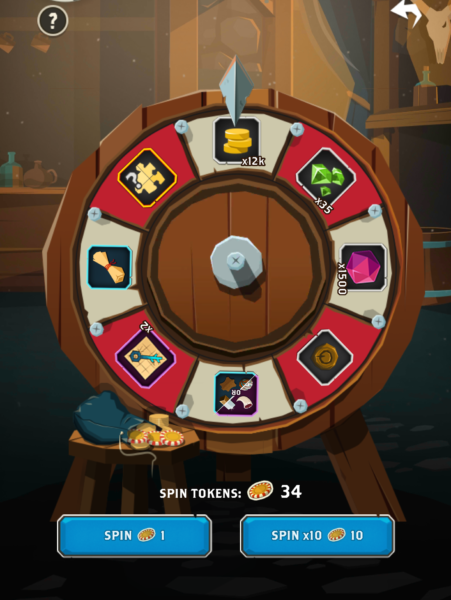 After these two spins, you can spin the wheel using Spin Tokens or Gems. Spin Tokens can be obtained as a reward from completing stages in the Campaign.